The entire Silhouette range was available at an amazing 20% off! Silhouette is one of Leightons most loved brands, featured in almost every one of our branches! 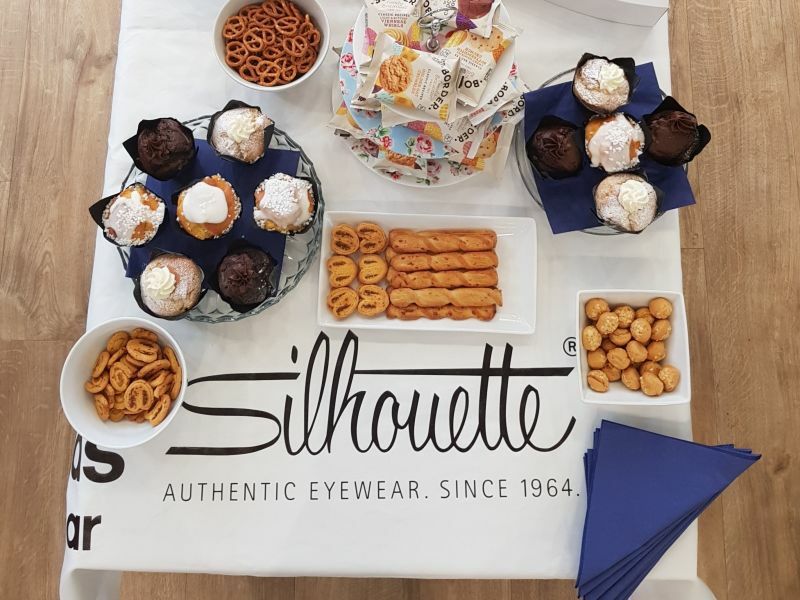 Silhouette cater for everyone, from large colourful designs to the minimal, contemporary eyewear that they are renown for. Our Farnham branch has one of the most diverse selections of Silhouette eyewear in Leightons, which we think is reason to celebrate. Normally showcasing a specific collection of Silhouette, Farnham branch wanted to do something a little special to share one of their favourite brands with their most loyal customers. So, for one day only on the 10th October, they showcased the complete collection of Silhouette eyewear, and at an amazing 20% off! Staying open until 7pm, Farnham also had Simon, Silhouettes own brand expert, in to talk through the collections and give insight to the craftsmanship of Silhouette. Offering a broad selection of styles, Silhouette they are best known for their elegant rimless frames. Rimless eyewear has been launched in to the 21st century with unusual shaped lenses- from cat-eye to perfectly round, this collection of eyewear gives minimalism huge impact. 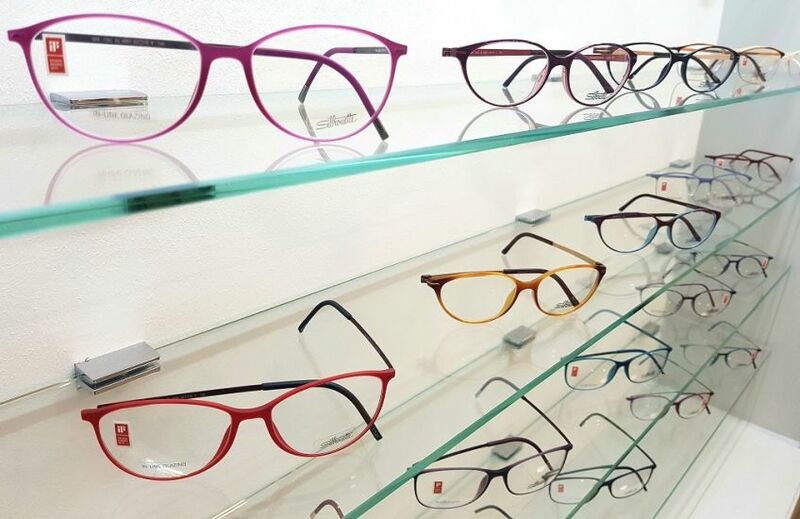 If you are looking for something a little bolder, their fully framed range has similar shapes to their rimless options, making them stand out with unconventional yet flattering colour spectrums from vibrant pinks to burnt orange tones. 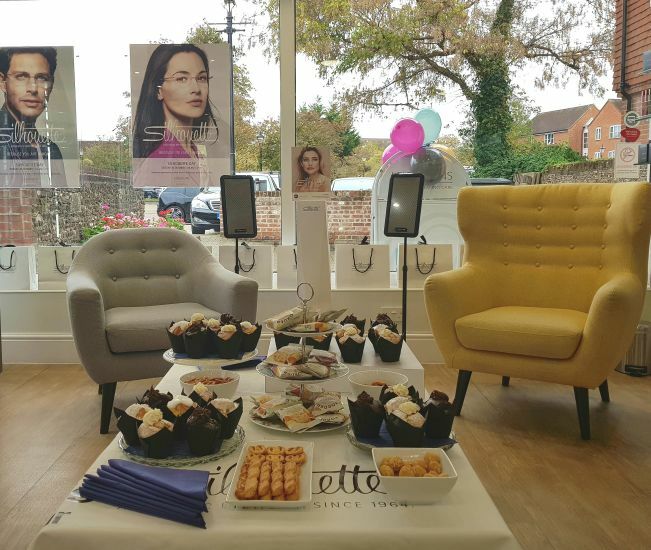 The full range being showcased in Farnham’s Silhouette event included the luxury collection, Atelier. With frames made in 18ct gold, hand set with diamonds, sapphires and rubies, they truly are jewellery for your eyes. The setting of Ateliers precious stones is a process which only one person in the company is able to do, situated in their headquarters in Linz, Austria. This striking collection gave the day a real wow-factor, with delighted customers trying on these unique designs. Everyone in Farnham had a fantastic day, it was great to see the diversity of the brand and share our passion with our customers. This exclusive event was the perfect opportunity to spend time with our customers- and for them to update their look for winter! 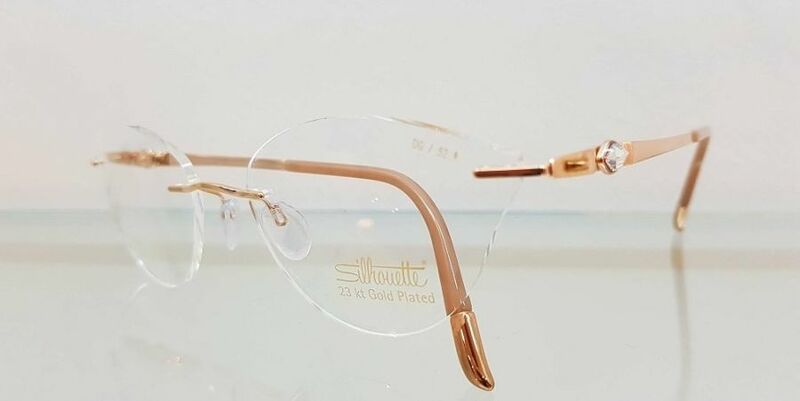 If you would like to see the beautiful Silhouette frames for yourself, you can visit your local Leightons branch where our fully-qualified dispensing opticians will happily show you their range. If you think your prescription might need an update, you can book an appointment online, or call us on 0800 40 20 20.